Element 8 provides marketing and technology solutions for businesses and non-profits. We specialize in web design, strategic planning, branding, graphic design, web applications, print and collateral design, internet marketing, social media marketing, viral campaigns and other technology services. We're a marketing agency with affordable rates and give 20% discounts to non-profits. Contact us today for a quote or a free consultation. 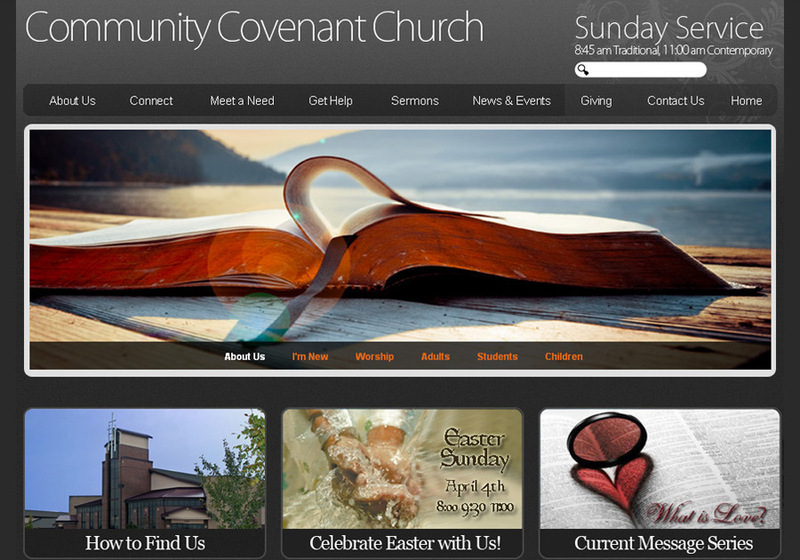 Screenshot of our recent site remodel of Covenant Community Church in Lenexa Kansas.